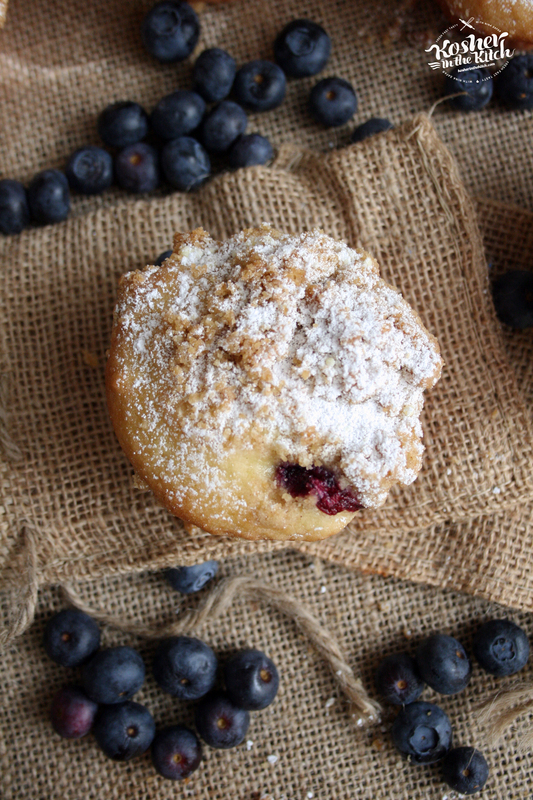 Blueberry Crumb Muffins - Kosher In The Kitch! 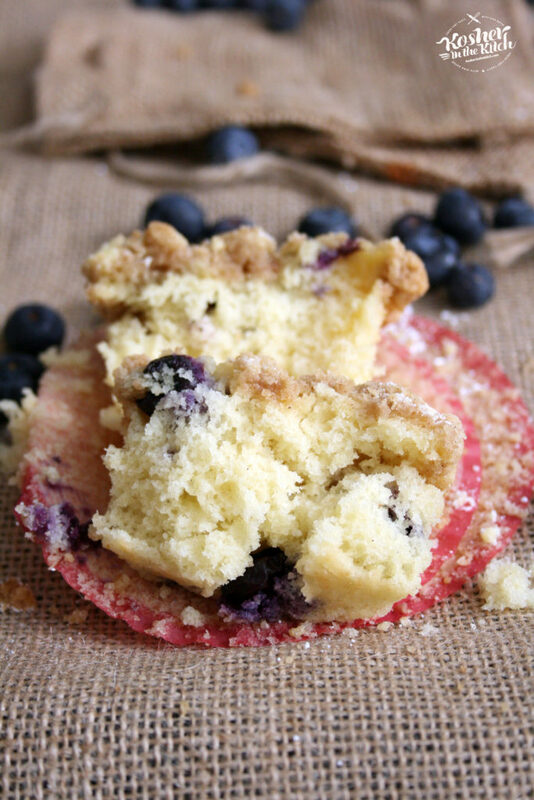 Blueberry Crumb Muffins - Kosher In The Kitch! 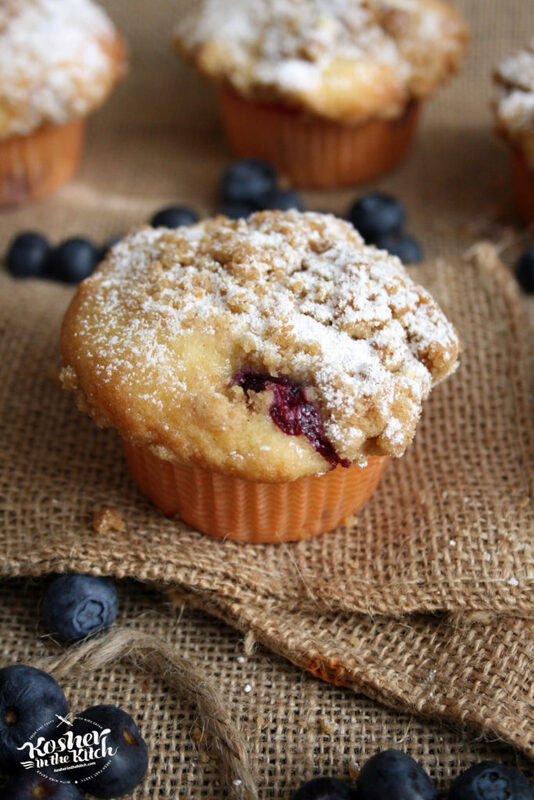 Combine blueberry muffin ingredients in a large mixing bowl. Using an ice cream scooper, fill cupcake liners 3/4 way full. Combine crumb topping ingredients using your hands to create the crumb texture. Top muffin cups with crumb topping. Optional, sprinkle a few extra blueberries on top. 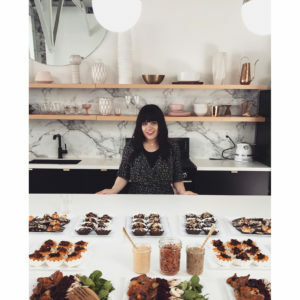 Bake on 350′for about 22 to 25 minutes. Allow to cool off then dust with powdered sugar. Can I use strawberries instead? Not a fan of blueberries? Yes you can! Can also raspberries or chocolate chips instead.